Exterior signage often plays a crucial role in the corporate branding of your business. 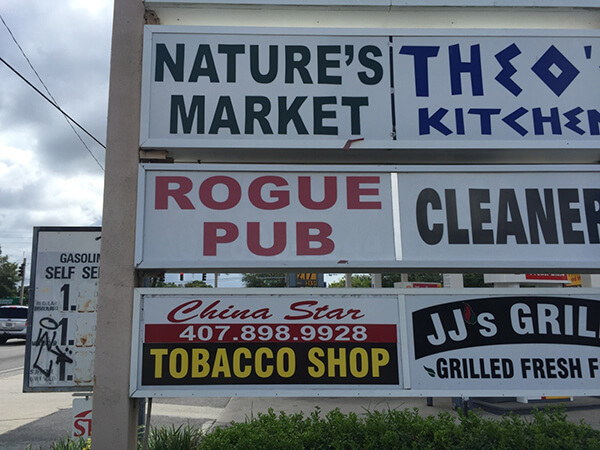 When you plan a name change for re-branding, you have to make strategies for changing all your outdoor signs for business as well as your window graphics and any other signs that are noticeable by your customers or employees. 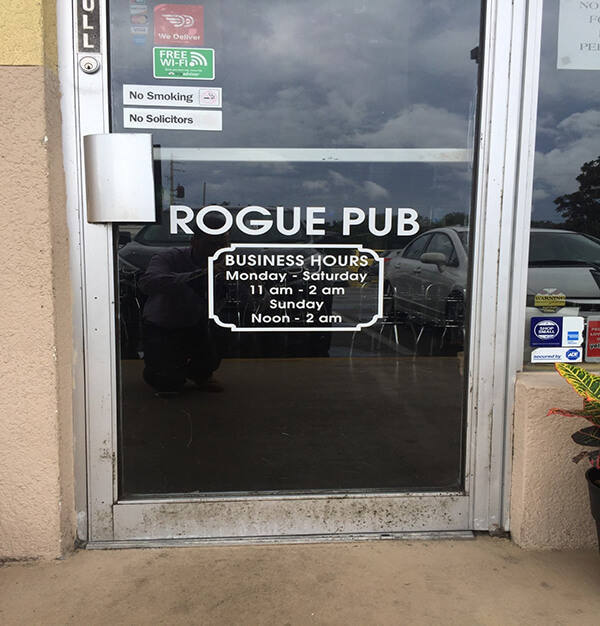 But when you aren’t planning a striking transformation but aim for a more subtle move that involves the modification of a color shade, alphabet, or font style, you need an exterior signage company that would be able to handle the job in a cost-effective manner. 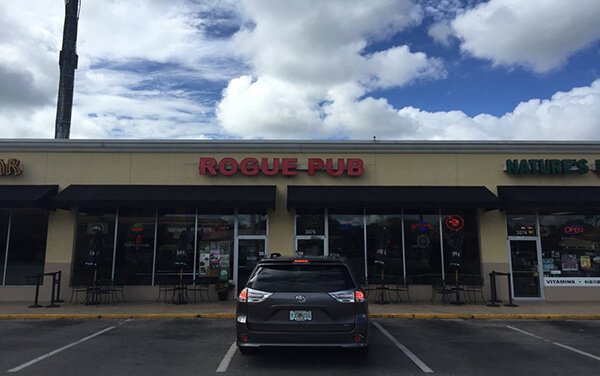 That’s exactly what Citrus Sign Studio was called to do by Roque Pub as it planned a name change where it wanted to go ‘Roque’ from ‘Rogue’. 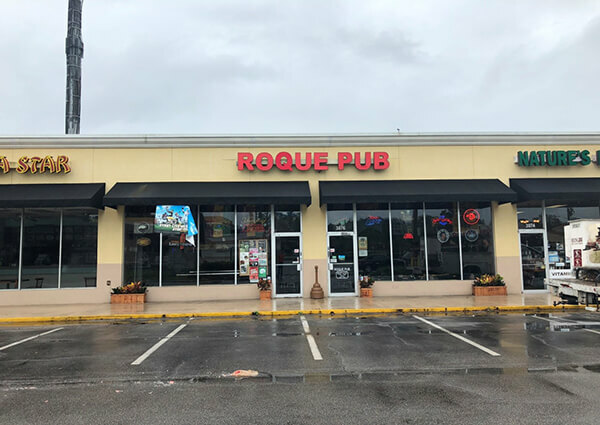 The Roque Pub located in the center of Crystal Lake Village in Orlando, Florida boasts of a full wine list, 25 rotating craft taps, and offers more than 300 craft ciders and beers as well as award winning food apart from hosting local live music and weekly events. 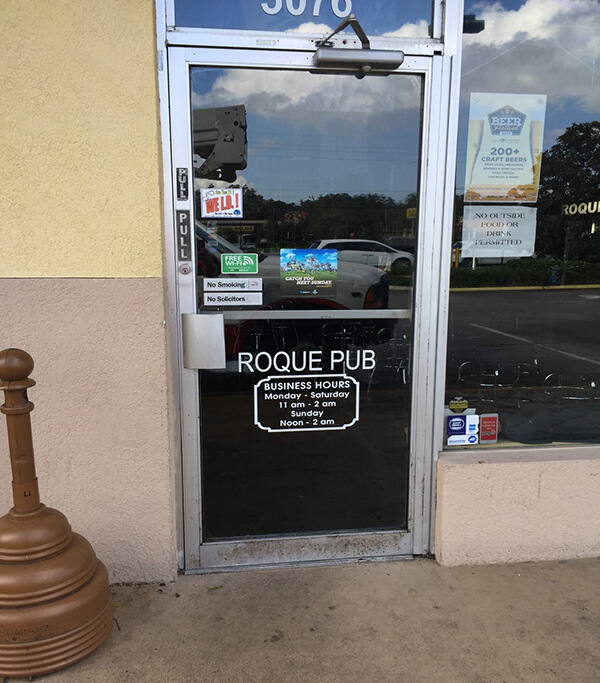 From its original name of Rogue Pub, it was planning to change its name to Roque Pub and needed Citrus Sign Studio to help with its rebranding process. We took stock of all the current signage products that required to be updated as part of the re-branding process. In its pylon sign graphics, we tweaked the “G” to a “Q” while ensuring the fonts and colors of the changed alphabet matched all the other unchanged alphabets. For the exterior signage at front, we again matched the materials, colors and fonts of the new alphabet “Q” with the remaining ones, thus saving our client a lot since they needed just to replace one alphabet in their name, which cost them a fraction of what they might have paid if they had opted for changing the entire exterior signage. 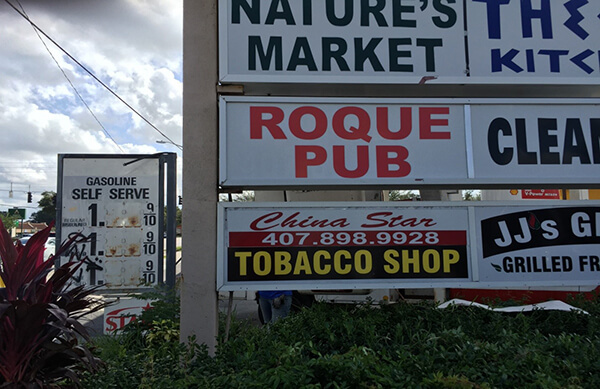 By making quick changes to these outdoor signs for business, we ensured the rebranded Roque Bar was ready for its customers on time. Rebranding of a business not only takes place on the exterior but in the interior spaces as well. 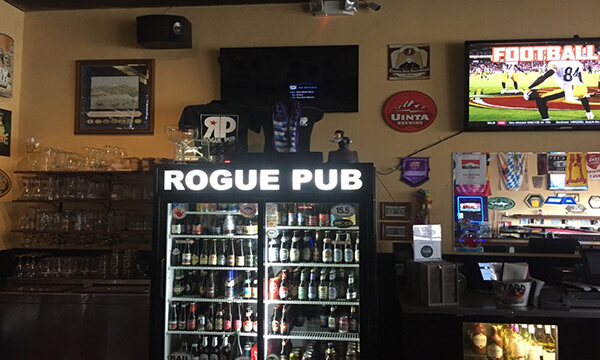 We emphasized our point that no sign should be exempt from the new look. All the signage – both external and internal, should showcase the new attitude that the rebranded business now exudes. 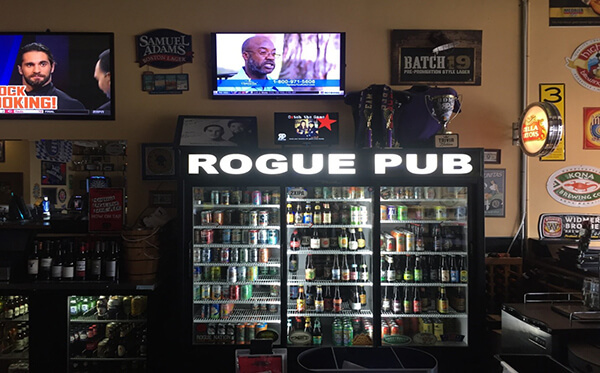 Thus, the next job was to rebrand the beer cooler graphics and the door graphics. 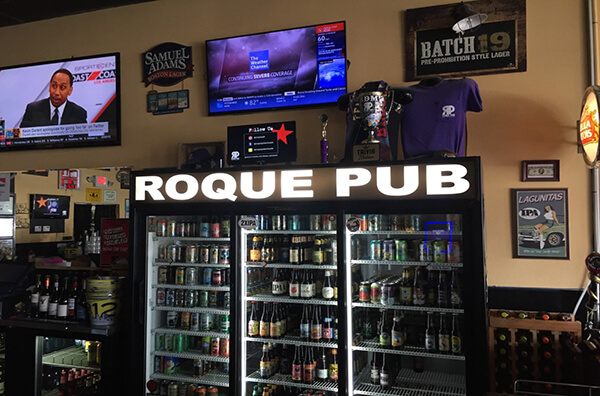 For both the 3-door and 2-door beer coolers, we changed the lone alphabet in the original signage (as we have done for the outdoor signs for business), while ensuring the new letter matched its predecessors in fit, colors and font. We did a similar job for the graphics on the glass door, with which the rebranding task we were allotted to came to a successful completion. 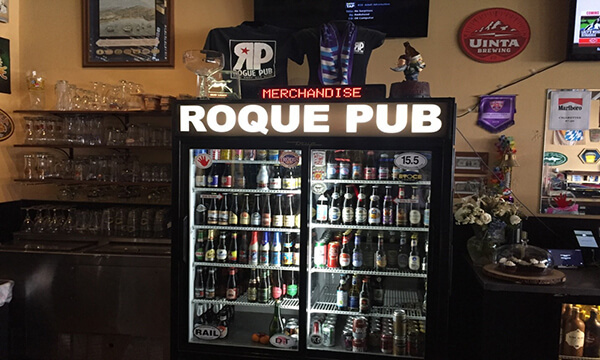 Our team worked in perfect sync during this entire re-branding process to change ‘Rogue Pub’ into ‘Roque Pub’ in an efficient, fast and easy way, saving our clients a ton of money in the process.